Don't want to build or mod a Spinner controller? Try a MegaRacer, Jogcon, UltraRacer or Gamestick. Scroll down to the Replies for an unmodded route. 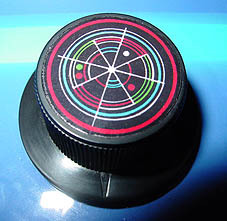 CRTGAMER wrote: A Spinner Knob enables an instant screen movement location depending how far the Spinner is turned. Turn the knob a little, the object on the screen repositions just a little and stops. Give the Knob a quick spin, the object controlled instantly jumps to the edge of the screen. 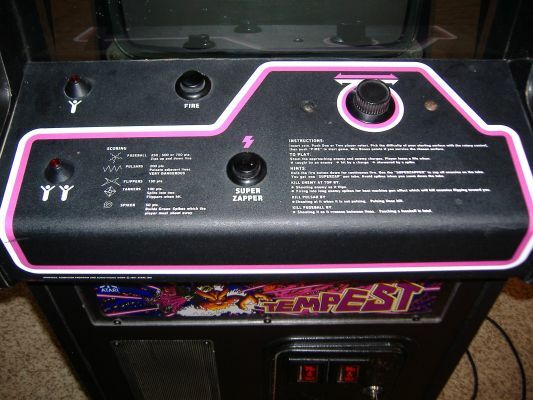 An older forgotten form of Arcade Control, the Arcade game TEMPEST is one of the more known Spinner games. There are others such as TAC SCAN, OMEGA RACE as well as Spinner combination Stick games such as TRON. The key word is control, a very accurate exact method of controlling the game sprite movement direction. This is an inexpensive mod using easily obtainable parts. Of note one of the few consoles to support a Spinner besides all the Pong clones is the Atari 2600. The Paddles and Driving controllers supported games such as Breakout, Indy 500, Kaboom, Night Driver, Pong and Warlords. There is also a Home Brew Spinnerama cartridge for the Vectrex. These are converted games from the original Vectrex library to work with an Atari 2600 Driving Controller. First a thanks to Nathan Strum. I already knew about using a ball mouse, the other parts with some changes inspired by his guide. One Ball Mouse. Inexpensive at Thrift Stores and Swap Meets. I bought two for 50¢ each along with a Ninja Turtles DVD Player. Not the LED sensor ones, but the old ball mouse that always gets clogged with dust. Not using that ball, just need the mouse inside encoder wheels and PCB. 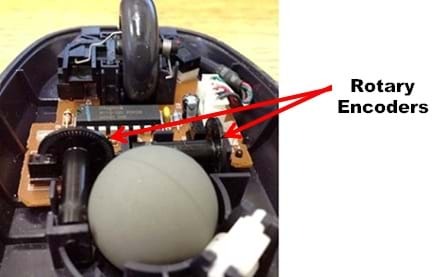 LED mice do not have the mechanically activated encoder wheels. I install tested both an E-Machines mouse and a Microsoft mouse for this mod. The Microsoft mouse is a lot more sensitive, offering a faster timing response. PC ball mice are common with a PS2 connector, avoid the ones with a serial connector. There are adapters, but might be an issue when adding a PS/2 to USB adapter. As an added benefit, using a mouse with a PC PS2 connector allows for DOS compatibility. 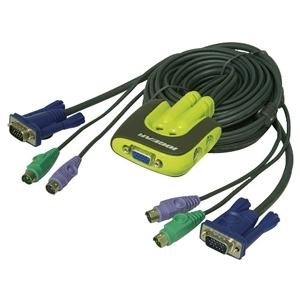 You will need either a KVM or Y-Mouse adaptor to use two PC PS/2 mouse connections. Note that the Y-Mouse adaptor is also DOS compatible. The PS2 to USB adaptor is an easy plug in for Windows and Mac systems. Be sure its an ACTIVE adaptor. USB allows a shared operation with the existing PC or Mac mouse. All the mechanical hardware including fasteners, mounting brackets and the spinner handle.  One Simpson DJT14Z Deck Joist Tie Home Depot SKU 464627. This has the correct sized center hole as well as a side bracket for mounting the mouse PCB. 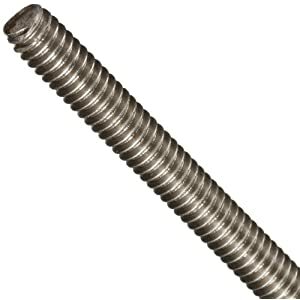 One ¼" Threaded Rod Home Depot SKU 670995. Add in six matching ¼ nuts and washers. Assorted fasteners as needed Various Home Depot 98¢ bags. Glass Door All Metal Roller With Roller Bearing Home Depot SKU 298736. One 2" Rubber Caster Wheel Home Depot SKU 168513. 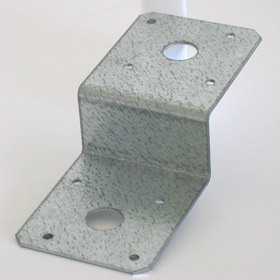 OPTIONAL - Round Electrical Steel Cover Plate Home Depot SKU 562523. To be used as a weighted end to give a heavier fee of the spinner. Might be a clearance issue. One DVD Case Can be old, just need the plastic. Your Choice of a Custom Arcade Project Box and Arcade Buttons. The ball mouse encoder wheels spin whenever you move the mouse. 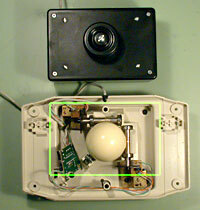 The ball spins the internal plastic encoder discs causing a shutter effect on internal light emitters and photo diodes. A rotary encoder is an electro-mechanical device that converts angular position to a linear translation. This might sound complicated, but you are more familiar with the work of rotary encoders than you realize. In the 1990s, transmitting information from a person's actions into a personal computer using a computer mouse became a common use of rotary encoders. The computer mouse can be used to accomplish a great deal of work on the computer by working in a two-dimensional virtual space. 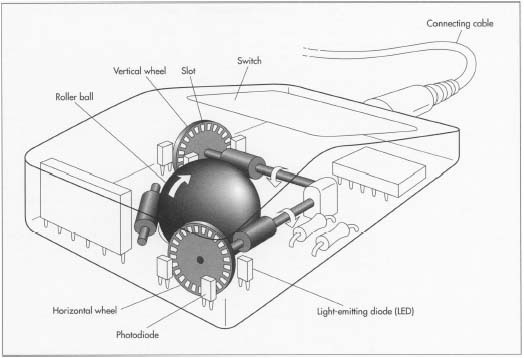 Surprisingly, the mechanism of a computer ball mouse, the type of computer mouse with a rolling ball in the base, is simple, having only two rotary encoders. One rotary encoder is for the up-and-down movements on the computer screen and the second is for left-and-right movements. The mouse encoder wheels are way to small for an accurate alignment with a spinner. So a custom sized large wheel is in order. Here are four different toothed wheels. More teeth are harder to make but give a better response if the mouse sensors can accurately read the light openings. Too many teeth may produce a strobe effect, causing a game sprite jitter. To get the best sensitivity, I went with the 48 tooth encoder wheel. My printer margins only allowed a 94% sized printout. I went smaller anyways at 75% to fit a tight area. A full sized printout will be too large for the Simpson bracket. be sure to maintain the Aspect Ratio when reducing the JPG. An egg shaped encoder wheel won't work. The smaller the disc, the trickier to cut and aligning to the mouse diodes. You could copy and paste multiple images of the size you decide on, may come in handy in case of errors in cutting. Basically, the rule of the thumb is: the more spokes, the more sensitive the spinner will be. However, it may also be more prone to the strobing effect. Too few spokes though, and you'll have to spin the knob farther than you would like in order to get any movement. Hand cutting with scissors and a X-Acto knife will work if the plastic is softened by heating with a hair dryer or lamp. A tedious effort that can be more easily be done with the right power tool. Buy or borrow a Dremel or even better, a Rotozip. Be sure it is not cordless with a limited battery run. The Dremel type tool is not as powerful but only cutting plastic here. Be sure to get one that has a cutting guide and a collet to take standard ⅛" bits. The Rotozip uses ¼ bits but can also fit a ⅛ collet. Use a ⅛ non guide point wood bit for cutting out the plastic and a fine set of bits for notching out the teeth of the encoder wheel. Don't get the guide point bits, a sharp tip is needed for poking the hole. Of note is Harbor Freight Tools. The proprietary Chicago Electric brand are not the big contractor brand but averaging half the cost. Perfect for the weekend projects. Okay, here is where the DVD case comes in, the front side will be used. Rip the clear liner notes plastic off and toss. Cut or rip the front half off, it tears right at the spine fold. You can use regular metal handled sharp scissors to cut the front off. Cut the edges away to give a flat plastic sheet. The front half has enough material for two encoder discs. Select the wheel template from the above pic that you printed out. Just cut a square around the printed circle. Stick non foam double sided tape or carpet tape on the back. Cut out the circle but not the individual notches. Notice the DVD plastic has a dull and a shiny side. For better adhesion, stick the template on the shiny side. This is the hardest part to make. Take your time, going slowly, material can be removed but not added. Its better to take off a little at a time. You can hold the Dremel and carve out the plastic, but there is a better way for precise controlled cutting. This is where the cutting guide comes in handy. Chuck the Dremel or Rotozip upside down in a vice gently. You don't want to crush that motor housing. With the guide in place adjusted to the right height, you now have a miniature router table for the controlled cutting. The idea is to hold the plastic, not the tool for precise cutting. The guide helps to keep the plastic level while cutting. Start off with the regular ⅛" sabre wood bit. Cut out the circle pattern. Be exact in the circular cut, all the edges have to be the same distance from the center. You could leave a slight amount extra that can be touched up with a hand file. Save the extra scrap plastic to use as shims later. Drill out the center hole. This has to be exact center, so use a center punch and tap not pound a small dent in the center. Use a small drill bit as a starter hole. Follow up with a ¼ drill bit. Be sure of the final size matched to the threaded rod. The DVD plastic disc should fit snug in the metal threaded rod. If the hole is too big the disc will wobble when spinned and not stay aligned with the mouse diodes. Mount the disc temporarily to the rod. Lay a file or piece of sand paper on the bench or a concrete surface. To finalize the edges to sure an accurate circle. Spin the rod by hand, buffing the edge of the disc on the file or even the bare concrete. A slight pressure just drag that wheel. The ⅛ bits are too aggressive, ends up melting and chipping the teeth. 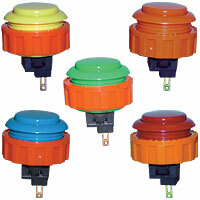 Use the miniature wood bits with the colored plastic for a fine steady control. Practice on that scrap plastic you cut away earlier. Take it slow and cut out all the white out of the teeth. A patient cleanup with a small hand jewelers file to get rid of the burs between the teeth. Any plastic "hairs" left between the teeth will scatter the sensor light. An edge ring is only needed if the plastic teeth are very narrow or thin. The edge ring may get in the way of the mouse diodes. After the encoder wheel is done remove the paper template. The double sided tape is difficult to remove. After all that work, you don't want to break the teeth now. Use a putty knife and scrape from the center to the edges to lessen the risk of damage. Clean off remaining tape glue with Lift Off or Goo Gone. The shiny plastic surface may scatter the diode light so rough it just a little to get rid of the shine with the jewelers file or fine grit sand paper. The grease inside is great for a heavy glass door, but too much drag. Temporarily install the threaded rod with two nuts. Spray WD40 inside the roller bearing to flush out the grease. Now the roller has a nice spin when you give that rod a twirl. Remove the rod. Cut the metal bracket in half with a hack saw, right along one of the angles. When you are done one half will have the angle, the other side will be a flat piece of steel. The angle is for mounting the mouse later on. The sliding door roller will be sandwiched between the two pieces of steel right at the large holes. Four screws are needed to keep the roller from shifting around between the steel plates. Its tempting to use the existing small holes, but the roller in the middle might still shift around. I use one inch long #8/32 screws and nuts here. Length is critical to clear the encoder wheel. Place the sliding door roller under the flat steel centered at the large hole. Holding both the roller and steel plate flip it over, being careful not to shift the two pieces. Center punch the steel plate for the first screw. After drilling the first hole put the screw in to assist guiding the roller for the remaining screws. You are looking for a snug clearance between the roller edges and the four screws. For the arcade housing mounting screws I went with one inch long #5/16 stainless. After all, these will be visible from the top of the arcade panel. Drill an additional four outer edge holes evenly spaced at each corner. Install the long threaded rod with a nut on each side of the roller. Note that a regular washer won't fit, will interfere with the bracket. Not critical yet on the length, the threaded rod will be cut towards the completion of this mod. Since the roller shaft has a small surface area for the nut to bite, a smaller diameter lockwasher is a good idea to prevent the nut from backing off. Not too tight yet on the nuts, some adjustments will be made. Install the plastic encoder wheel with a nut and washer on each side hand snug on the angle bracket side. 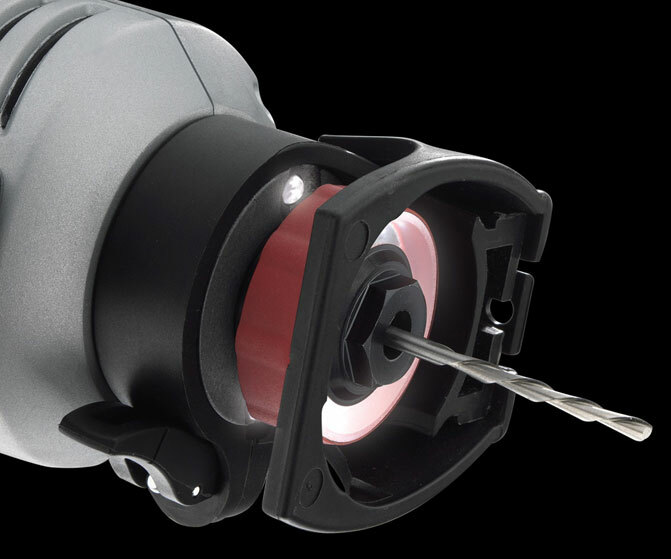 Mounting screw length is critical to clear the encoder wheel. Screw heads will be at the other Knob top end to allow for a flat surface mounting. Carefully take apart the mouse. Before removing the wheels verify which is the left right direction sensors as well as which direction spins the wheel which way. You can watch the mouse arrow on the computer screen while moving the exposed bottom mouse half with the ball in place. In the computer settings screen, be sure to have the mouse sensitivity and acceleration settings cranked all the way up. Visualize the small mouse wheel replaced by the large custom encoder. Looking down from the top, clockwise will move the mouse arrow to the right. Carefully remove the mouse PCB and separate from the ball housing and ball encoder discs. Plug the mouse PCB into the computer for testing. Hold the bare mouse PCB in a way that the encoder wheel can be spun without rubbing against the diodes. The Mouse arrow on the screen should move slowly to the right or left. 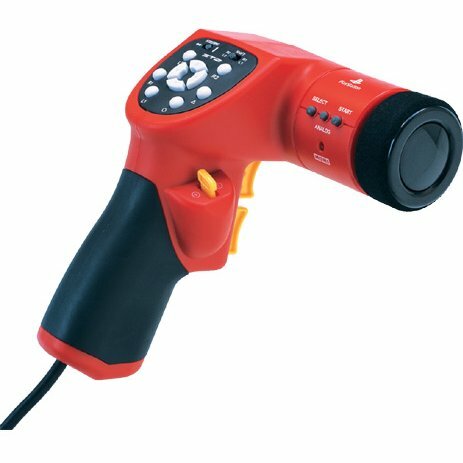 If up or down you are using the wrong sensor, try the other one. Spin the disc the other way for the opposite direction. No worries if that mouse arrow doesn't zip across the screen, you are looking for continual movement thru the entire spin of the encoder wheel. The hardest part is done! 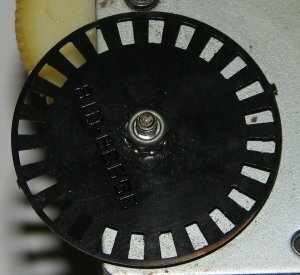 Large fender washers on either side to the encoder wheel will help flatten out any warpage. You will now see how much space you need between the angle and encoder wheel. The height can be compensated by adjusting the nuts on the threaded rod. To avoid solder damage risk to the fragile sensor diodes, its best to mount the entire mouse PCB as a unit. Go even further by using the bottom part of the mouse shell itself. Cut excess plastic off the mouse housing to allow for the encoder wheel to spin in between the light emitter and sensor diode. Before mounting the PCB, presolder wires under each mouse switch solder pads for attaching to your custom Arcade buttons later. There are three buttons including the scroll wheel click button. Most Spinner games use the right and left buttons, but might as well have all three buttons soldered up with wires. Leave enough of the mouse housing plastic for the mounting screws. I use one inch long #6/32 screws with nuts here. The extra scrap DVD plastic or extra nuts and washers can be used to shim the mouse assembly. Use at least two screws to hold the mouse in place. The screw heads may have to go under the mouse PCB so scrutinize that the electrical traces are clear. A couple dabs of model glue will keep the PCB in check with the housing, Don't forget to presolder the switch wires and have the screws in place before gluing! Be sure to mount the mouse so the sensors are at the high spin arc point of the encoder wheel. Don't force the encoder in place to clear the sensors. Place the plastic wheel where it needs to go between the diodes and then spin the threaded rod thru the bearing and encoder. Be sure the bracket mounting screws clear the encoder wheel. This will take a few adjustments with shims and moving the nuts up and down on the rod. Depending on the light emitter and sensor diode, the wheel may work better slightly closer to one or the other. Be sure to test before mounting the encoder housing in your custom Arcade housing. Take apart the caster wheel assembly, this will be the Spinner knob. Extra nut on the bottom to set the height of the knob and a nice stainless cap nut and washer on the top. You can also add an optional round steel plate at the bottom to give a heavy solid feel. The weight should be round to avoid wobble. Do not cut the threaded rod yet. The height and clearances inside your Arcade housing will determine that later. Some white (not yellow gas) teflon tape can smooth out the threaded rod from chafing any electrical wires. The Spinner does not have a housing yet. Okay if you can't wait, load up your favorite Mame Spinner game and give it a try. The TAB key in the Mame game screen will bring up an Analog control option. Set the sensitivity all the way up to 255. A good game to verify that the Spinner is the right direction is TAC SCAN. The ships will spin to the right when rotating the spinner clockwise. A driving game should turn to the right as you spin clockwise. If backwards you can flip the mouse housing for another painful alignment or just reverse the direction in the Mame menu. To emulate Pong, the up and down diode sensor could be cut away and resoldered on a separate mounted board along side the right left diode. A simple toggle switch can be used to select either up and down of Paddle Pong or left and right for the majority of spinner games. You can use a ready made electronics project box or custom build one. For the fire buttons Happ Controls have some great ones. But what of combo Spinner Stick Arcade games such as TRON? The keyboard can be used for the stick or a separate Arcade stick. The best method is combine both on one board in a way so the stick is not in the way for Spinner only games. At the same time the Spinner should not interfere with Arcade stick only games. For large holes, a step drill works great. Since I already have a modded Zaxxon Arcade controller, a simple matter of adding the Spinner assembly here. Clearance is an issue, the reason why I cut away the mouse PCB button sections. This would be an issue if there were many mouse only type games that only have left and right movement as in Spinner Games. Since the Zaxxon setup already has the Mame keyboard encoded fire buttons, not a big deal losing the mouse buttons. In the case of the Arcade TRON control panel, a close proximity! 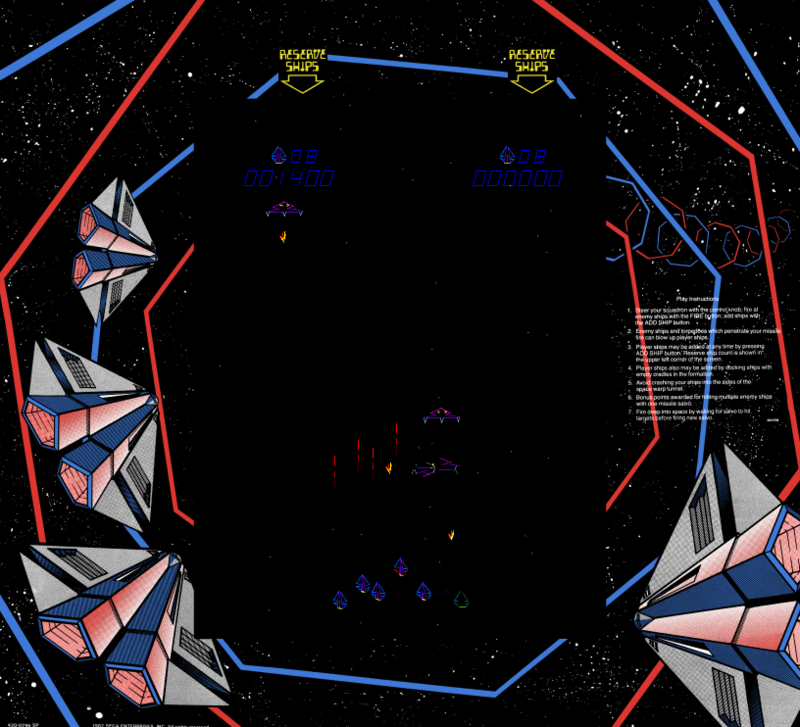 The Zaxxon Arcade Mod for Atari, Mac, and PSX. This will run in both the PC and the Mac with a simple USB Active adaptor cable. PC Mame has a better front end, listing by game type and especially by control. Look for games under the Trakball section, quite a few are for the Spinner. Most driving games also work great! Some games such as PUZZ LOOP will have to be set through the Dip Switch menu to work with the mouse or spinner. Some Spinner games to try, there are many more to discover. This mod can also work on the PS2 with a Smart Joy Frag. Imagine all the PS1 and PS2 games now played with a Spinner! Note that I have Asteroids listed, control the ship like Omega Race. What I really like about the Spinner is the very ACCURATE pixel by pixel control. The spinner can keep going when let go and instantly stop at the touch of a finger. No more joystick or mouse cramps from marathon sessions. Nothing beats the original Arcade, but sometimes the original is hard to come by. Anyone see a Space Wars cabinet in the Arcade anywhere? Emulation is not always a bad thing. Sometimes custom controls can be utilized. Not a surprise here right? Custom controls are a taken for granted option in Mame. But actually this one is a Hidden Discovery thru the TAB menu. I couldn't get my mouse to work in this game, even though Mame had the option. Imagine my surprise when I went to the in game Service Menu of Puzz Loop. The Arcade game Puzz Loop is a Stick type game. Hidden inside the Dip Switch Service Menu allows for a Knob Controller. The Mouse or a custom Spinner can be utilized! The Arcade I played had a stick, Spinner versions I didn't know about until I discovered this with the wonders of Mame Emulation. Perhaps there are other "Hidden Gems Controls" waiting to be discovered. Last edited by CRTGAMER on Tue Aug 29, 2017 12:31 am, edited 87 times in total. The Zaxxon Arcade Controller. The Spinner is the Black Knob. I got lucky, the mounting screws just clear the words in the Zaxxon instruction plate. Reserve for more pics and a future mod. An easy way to add a Spinner to your game console. Another option for a Spinner Controller, no mod needed. When the racing game Ridge Racer came out, there was no Analog Stick for the PS1. As an interim Namco designed the NeGcon and Jogcon. The Namco NeGcon is assumed to only work on driving games, in particular the Ridge Racer series. 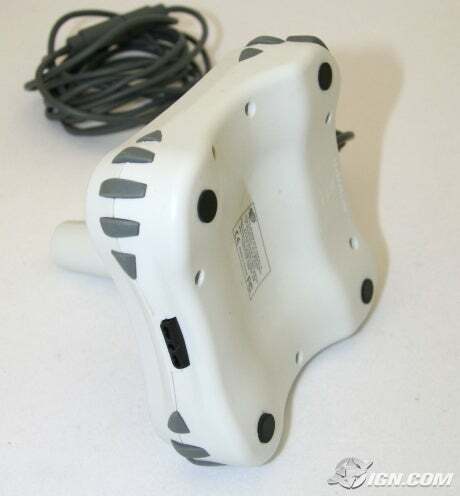 The Jogcon was the first controller for a home console that has a Force Feedback. 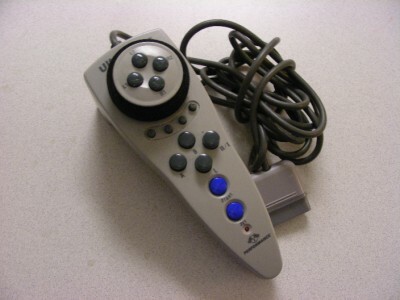 Ghegs wrote: The NeGcon is the controller Namco designed to have analog controls for early PS1 titles, not the Jogcon which wasn't released until 1998, four years later, with Ridge Racer Type 4. The Jogcon also has a ridiculously low compatibility rate, with only three known titles that are confirmed to work with it (Ridge Racers 4 and 5 and V-Rally 2). I've written an article about the neGcon, maybe you'll find it interesting. A few pre Duel Shock PS1 games are Jog Mode compatible with the MegaRacer and work as well with the NeGcon including Destruction Derby, Gran Turismo, Moto Toon and the Wipeout series. See more info on the neGcon controller in follow up Replies below. Both the Namco Jogcon and the Performance Mega Racer controller have a built in spinner with stops. I recently acquired a Mega Racer controller thanks to mjmjr25, decided to try a few Spinner games. The Mega Racer has three modes to select from. The spinner emulates the left and right movement of the left Analog stick. Any driving game that utilizes the Left Analog stick works in this mode. Any other game that only needs left and right movement of the Left Analog stick also works. Up and down of the Left Analog Stick and all directions of the Right Analog Stick are not supported. The Spinner emulates left and right movement of the Digital Pad. I gave a test run on a pre Duel Shock game Assault Rigs. In addition to hitting the direction pad, I can now steer with the Jog wheel. Forward and Reverse is still handled by the direction pad. A shame the game does not allow a standard throttle control such as the X button. Since Assault Rigs uses the DPad instead of the Analog Sticks it works very nicely with an Arcade Stick. A Jog Spinner mode that only works for games it was designed for. The known games are Ridge Racer IV and V. A seemingly limited use of the unique controller. CRTGAMER wrote: The Analog Stick Mode and Digital Pad Mode of the Spinner is basically turn the spinner a little and hold it; the on screen object keeps moving in a given direction. In Jog Spinner Mode, this enables an instant screen movement location depending how far the Jog Wheel is turned. Turn the wheel a little, the object on the screen repositions just a little and stops. Move the Jog Wheel all the way, the object controlled instantly jumps to the edge of the screen. The relatively unknown use of the PS1 "Spinner" Jog controller. There are Arcade compilations that can utilize the MegaRacer, NeGcon and Jogcon controller as a Spinner in Analog Stick mode. I tested PS2 Arcade and Console compilations; Kaboom, Super Breakout, Super Sprint, Spy Hunter, Tempest, and Warlords. The games tested work but only support the Analog mode, not in a true Spinner sense of instant control location of an object. 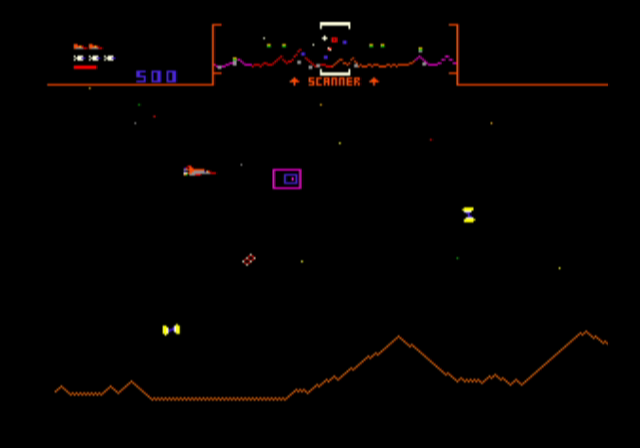 For example Kaboom is sluggish compared to the original Kaboom with a paddle controller on the ATARI 2600. It is playable, but the instant Spinner Control feel is lost. On the other hand Tempest though in Analog mode still has pretty good response. I then started looking at PS1 Arcade and Console compilations. These have better results with true SPINNER CONTROL! Instant positioning of the object on the screen! Games verified include Warlords, Super Breakout, Pole Position and a very nice surprise, Tempest X3! There must be PS2 games that support the Jog Spinner Mode of the MegaRacer controller besides just PS2 Ridge Racer. I use installed games, at the HDAdvance/HDLoader Menu screen the Jog mode can be enabled. As I find others I'll update this post. Another "Spinner" controller to try is the Ultra Racer also made by Performance. In addition to the PS1 Ultra Racer, there is also the N64 Ultra Racer. Turns out both work with certain games that benefit with a Spinner control, I covered these in a Reply below. Last edited by CRTGAMER on Tue May 10, 2016 10:48 am, edited 5 times in total. When most modern gamers imagine a joystick, the image that comes to mind is that of the arcade stick—a flat slab with an array of large buttons and a short, springy joystick. The older set, however, will recall the old days of the Atari 2600 and its controller, a small, palm sized base with a tall stick protruding from the middle. It wasn't very comfortable or accurate, but it didn't really need to be. 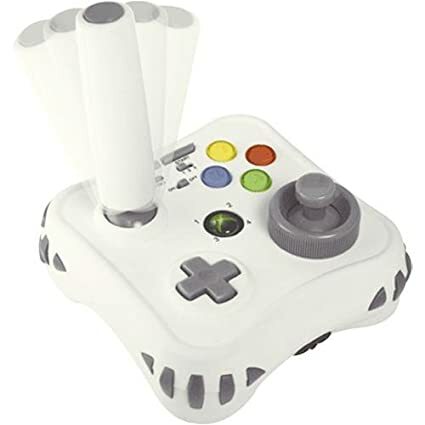 This style of controller design, however, went extinct relatively early in console history due to the arrival of the gamepad, generally a far more comfortable and accurate design for faster paced gameplay. For some the experience of tooling around with Dig Dug, Pac Man, Paper Boy, Frogger, Time Pilot, and others with a modern game pad is good enough. For purists, however, the experience is not the same without the controller these games were originally played with, the old school palm-top joystick of 2600 vintage. Addressing such demand, MadCatz has developed and released the Arcade GameStick 360, essentially modernizing the console controller of the '70s with the accoutrements of our modern age. The MadCatz Arcade Gamestick controller that has a misleading name assumed as an Arcade Stick. In reality the stick is analog as in the Apple II Kraft Sticks and Atari 5200 controllers. This is the real novelty, a Joystick that reminds me of the Atari 2600 joystick and without the stiffness. Unlike the Atari Joystick, the base does not have to be held due to the smooth analog movement of the large bat handle stick. Take a look at that large bat handle Analog stick. It has a Fire Button at the top just like older Retro Joysticks. Now look at the smaller Analog stick and scrutinize the plastic grey ring surrounding it. Wait a minute, the grey ring spins, a built in Spinner! The stick has a USB cable, but will not be recognized by a PC when plugged in. The PC just ignores it, not even attempting to look for a driver. There is a dedicated 360 driver downloadable from Microsoft that allows XBox 360 controllers to work in a PC. 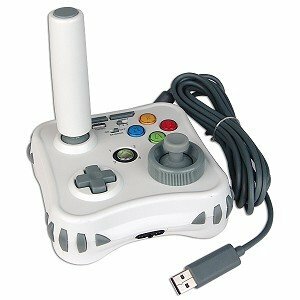 Since the Madcatz Gamestick is a wired USB connection, this makes it easier to configure using the standard 360 driver from Microsoft. You know the driver works when the X Ring lights up green! This is when I discovered the biggest disappointment of the Spinner. Unlike a real spinner with an encoder wheel control, the Madcatz Spinner emulates movement of the digital pad, the right and left Hat Switches. The faster the knob is rotated the quicker the "tapping" action of the digital switch it emulates. It works but not quite as sensitive as true Arcade Spinner. Luckily Mame has settings to accommodate the XBox Hat Switch Spinner. Be sure to change the settings for just the games that can benefit from the Spinner. This way digital stick games will keep their original settings. The Madcatz Gamestick Spinner is the same as the DPad on the Gamestick. When configuring Mame just hit the Gamestick DPad Left/Right instead of the Spinner, both emulate the Hat Switch. 1. Load a Spinner/Dial Game. 3. Select Input (This Game). 4. Change Player One Left/Right controls to the Hat Switch Left/Right. 5. Select buttons including the stick button as the Fire Button. 6. Change Key/Joy Speed to match the game. The movement control speed will off, but do not choose the Dial Sensitivity, that is for the Mouse or Trakball. The Madcatz Spinner Emulates the Digital Hat Switch. The game Omega Race was way too sensitive at first so I had to kick the Key/Joy speed down a little. A tricky adjustment to fine tune all the angles of the little space ship. But when the sensitivity is kicked down it takes more then one revolution to spin the ship around. A compromise between getting every angle or the quick turn around. On the other hand, Tempest Key/Joy sensitivity has to be increased to allow for a more rapid response of jumping the tracks. Tac Scan also benefitted with a sensitivity increase to quickly "look" left and right. When using Mame, each game can be individually customized. The other thing I did not like about the MadCatz Spinner is it does not spin freely. A good Arcade Spinner can continue to spin just like a kid's toy top when let go. The balanced spin is due to riding on bearings and has an Encoder Wheel that does not touch anything. However, there is something inside the Madcatz Spinner holding it back, the wheel is tight, almost as if a Force Feedback is applied. The Gamestick is held together by four phillips screws and three security bits. One of the phillips screws is under a rubber foot, the one nearest to the DPad corner. The three security bits are square like a Roberson bit, but also toothed like a Torx bit. I ended up matching a slotted bit that fit snugly. CRTGAMER wrote: Be careful in popping the two halves at the base. Have a large clean area that is well lighted before disassembly. All the rubber grip guards are set in grooves of the Gamestick base and are not glued. The small rubber pieces will drop out during removal of two base halves. After popping the bottom cover, I laid all the hand grip rubber pieces in a tray. Upon inspection I can see the source of the Spinner friction, there is a gear inside driving another gear which gives the on off affect of the Hat Switch. A few strategic placed shots of WD40 flushed out the grease and loosened up the spinner assembly. Not too much to contaminate the electrics, just on the Gears and the Spinner Hub underneath. The lubrication can be attempted from the outside, but at a greater risk if too much oil seeps in. The Spinner now moves freely, but without weights, it does not continue to spin after letting go of the wheel. Far from perfect, but better and worth the disassembly to free up the friction. Note the notches around the base, each needing a matching rubber handgrip. To reassemble the two halves of the base is a real trick, a matching of all the individual rubber grips and tabs to the correct notches in the lower base. I found it easier to set the bottom half on the table and drop all the different sized rubber pieces in their respective notches. Next while holding the top Joystick half right above, set the vibration motor and controller cable in their notches. Finally gently set the top half down, squeezing each corner as the rubber grips align. Use a small slotted screwdriver to align each rubber grip with the top base. I am disappointed that the Spinner is not a true encoder control, it just emulates increased and decreased tapping of the the Hat Switch. It does work, just not the slow precise control to very quick movement range a true Spinner can offer. This is an easy "Spinner" option over building a custom Spinner Panel. A Trakball or Mouse will offer better tighter and quicker control movement. The best route for true to Arcade feel is to buy or build a dedicated Encoder Spinner. I do like the breakaway cable, a common feature on most 360 controllers. This concept should be a standard on all consoles and PCs. The MadCatz Gamestick is adequate though not ideal as a Spinner. Tweaking the Mame Key Speed Menu definitely helps. A shame the Spinner emulates digital switches and not the mouse. Even more of a disappointment is the emulation of the hat switch and not the standard Joystick or Cursor Keys. 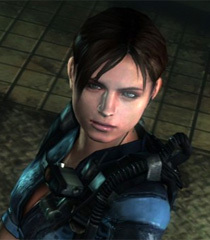 To expand the control options, download JoyToKey. Set the stick, trigger and even the spinner for sideways movement. Aside from a couple of design issues, the performance of the Arcade stick is impeccable and a far better experience than using the Xbox 360 controller. When you play the likes of Frogger, Root Beer Tapper, Missile Command and Galaga with the stick it feels tailored towards these games and therefore it’s easier to play them and more enjoyable as a result. I’d been stuck on the same level on Root Beer Tapper for some time, but I was able to beat it immediately with the stick as it gave me more precision when I was moving up and down between bars. The d-pad is also sturdier and more responsive than the one on the Xbox 360 controller as it has four directions mapped to it rather than 8, meaning that when you press in a certain direction that is exactly the direction it will go to, unlike the unpredictable 360 control pad. Using the spinner is also intuitive and helps to improve the gameplay experience. In Astropop you can slide left and right on the screen and it gives the game more of a flow and rhythm. Hopefully, they’ll be some games that come out to take advantage of this. Last edited by CRTGAMER on Thu Sep 07, 2017 10:16 pm, edited 10 times in total. Steering Wheel controllers emulate the Analog stick for various car racing games. Due to the design of the steering wheel, it can also be used as Spinner controller. Even though there is a limit to the rotation of the wheel due to stops, these can be adapted to work on certain Spinner type games. 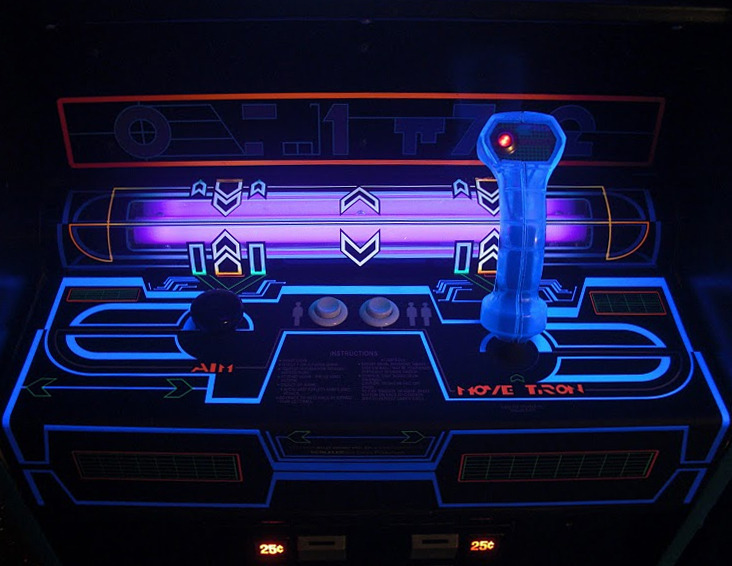 There is an older vector screen arcade cabinet that used a Spinner for rotating the ship is a game called Tac Scan. Thanks to watching Metal Jesus video where Drunken Master Paul brought a steering wheel to try out on another SHMUP, Mars Matrix. This made me realize, there are tons of bottom and even side shooters that can be played just like the Tac Scan Spinner control! The ships do not rotate, but move side to side for a possible more precise controlled movement. The steering wheel concept can work, however as in the video where Drunken Master brought it out as a cumbersome controller, it is a little large to really make the tight moves associated with a true spinner. Still, I like the idea of trying a different controller instead of the traditional DPad or Arcade stick in a game. Especially if the game more naturally works better with a Spinner of sorts. CRTGAMER wrote: Some driving controllers emulate the movement of the standard game controller, this opens up a limitless amount of games that potentially could work. The wheel actually does work! Any analog controlled game that only needs sideways movement can be made to work with a driving wheel. I tried PS2 Atari Analogy Tempest with the sensitivity kicked all the way up. the shooter does respond well, although the wheel is a little large to have precise controlled moves. To make the steering approach work, a smaller knob is needed that can manipulated with just the fingers and thumb. RC style controllers could be perfect as an alternate spinner without need of any mod. I tried out various non driving games to see the limits of this non mod spinner approach. 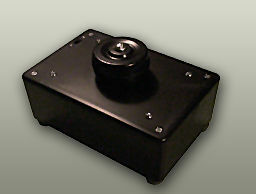 CRTGAMER wrote: A Spinner works as a Mouse, quick or slow movement all precisely controlled. Stop moving the spinner and movement immediately stops. This is unlike an analog stick which needs to be brought back to center to fully stop movement. Since steering wheels emulate the analog stick it also has to be brought back to center. Certain games that have an analog sensitivity adjustment could be made to work. Twist the steering wheel a slight amount and the on screen character moves slowly, twist all the way and it flies around the grid. This is done without need to continually spinning the knob, just hold at the maximum twist. The NeGcon was built specifically for PS1 RidgeRacer as a better control option over the PS1 DPad which did not have analog sticks implemented yet. Think of the pivot as the driving wheel, each hand on a each side with fingers always right at the buttons. The controller pivots in the center which gives a symmetrical feel with both hands equally controlling in a paddle control affect. There is a limited library of driving games that work with it, however there is one standout Arcade Spinner style game that is compatible. PS1 Tempest X3 - The controller actually offers a variable speed of movement, the more it is pivoted the faster the Tempest Shooter moves. To stop, just let the NeGcon pop back to the middle. A nice article on the NeGcon controller of which I included an excerpt. This is written by Racketboy member Ghegs, click the link below for the full read. The swivel joint is what makes the controller so ingenious. You can twist each half of the controller relative to each other, allowing for nearly 360 degrees of rotation. The I and II buttons are analogue and have about 7mm of travel to each of them. The left shoulder button is also analogue, though the right one isn't. With these buttons steering, acceleration and braking could all be controlled to a degree unseen in home systems before. Even after the introduction of Sony's own analogue pads, the neGcon was still technically supreme. Thanks to the controller's shape, it can be gripped and twisted comfortably and it offered far more precise analogue controls compared to the DualShock's analogue sticks, that had shorter throws and from which the controlling thumb could slip off easily. Also, DualShocks didn't have analogue buttons to them until the DualShock 2 introduced in 2000 for the Playstation 2, and they have an uncomfortably short travel to them. The neGcon offered the benefits of a more realistic-looking steering wheel controller without the larger price and in a smaller, more portable shape. In fact, many of those wheels for the PS1 actually took advantage and pretended to be neGcons at a protocol level, which also meant they could be used with all the games supporting the controller. While the white neGcon was released in all regions, Japan received an additional, exclusive black neGcon in 1998. It is slightly smaller and the Start button is a triangle instead of a circle, but is otherwise pretty much the same thing. It is, however, considered much rarer. Sadly, official support for the neGcon mostly ended with the PS1, even though the PS2 is fully compatible with it. The PS2 came bundled with the DualShock 2 and though the neGcon was still more precise of an analogue controller out of the two, its time was over. Steering wheel controllers were the more common and popular choice for racing games players, and Sony would not support the neGcon in their Gran Turismo games for the PS2. Namco's PS2 launch title Ridge Racer V naturally supported the controller as did WipeOut Fusion two years later. In the end, the controller came a full circle - the last known game to officially support the neGcon is Namco's namCollection for PS2, a collection of five of their PS1 games, published in 2005 exclusively in Japan. In that collection the original PS1 Ridge Racer plays just as smoothly with the neGcon as it did 11 years before. 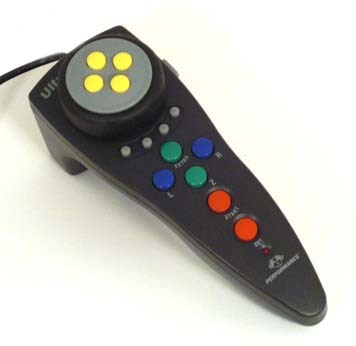 The Ultra Racer was made for the N64 and PS1 and features a large knob at the top. The buttons are programmable, however the PS1 UltraRacer analog control of the knob, and pedal triggers emulate a Namco NeGcon. This puts it at a low compatibility rate for Playstation spinner games. PS1 Tempest X3 - The UltraRacer really makes the Tempest shooter fly around the tube, insanely fast. A little too quick for a precise control, but a blast in the lightening movement. Looks to be variable speed if the knob is just cracked, but still very quick in the on screen movement. CRTGAMER wrote: Both the NeGcon and PS1 UltraRacer do not emulate the Analog Stick or the DPad, but requires specific drivers built into each PS1 or PS2 game. This limits the amount of games that can be made to work with them. I also tested each with a PSX to Gamecube controller adapter and confirmed neither work in the Gamecube. Disappointed on the limited games that work with the PS1 NeGcon and UltraRacer, I thought I might see if the N64 version would work. The N64 controller already has analog stick support which makes for a wider range of games that work with the Ultraracer. I tried out a couple just to verify. N64 Asteroids 64 - The wheel proportionally controls the ship correctly, better then the original Arcade. Turn the wheel a little to spin the ship slowly, turn the wheel more to spin faster. The fire button and Thrust is in the dual action trigger which makes shooting a pain. Fortunately the UltraRacer is easily programmable to swap the buttons and trigger. N64 Bust A Move 2 - Again the wheel proportionally controls correctly, better then the original Arcade stick. Precise spin of the bubble launcher to set the right angle quicker. The default trigger for launching the bubble for some reason makes the launcher go back to center. Not an issue, as in Asteroids 64 simply swap the buttons with the UltraRacer's built in programming. There are other N64 games that can also benefit such as various bottom shooters. 1. Hold SET button untill two beeps and LED is on. 2. Press button you would like to change, LED blinks once with one beep. 3. Press new button to relocate, two beeps. 4. Press SET button to exit, LED turns off. 5. To switch the other button, press the second button first when programming. Hold R1, R2 and A at power up, three beeps confirms reset. I really wanted a controller in the PS1 that would work just like a Spinner. The instant stop and controlled movement speed that analog sticks cannot do. Though the Nyco Trakball has limited game support, the same "Spinner" type game works here too. PS1 Tempest X3 - Now we are talking, very precise perfect control. Move the Trakball and the Tempest shooter movement matches perfectly. The shooter does not move blazingly fast as the UltraRacer, but quick enough and very precise control to hit each tunnel gate. I keep mentioning this game, click the link below as to why which I included a small excerpt. The article is a great read and has a good insight as why some games are ignored as not the normal "mainstream" games. The same concept happens today, although Indy games are making a bigger impact. The most beautiful game in the world. Tempest X3 is one of those unfortunate games that fell between the cracks in the world of games and the gaming press. It wasn't a big-money movie licence or sports franchise, so it got little coverage in the mainstream games mags, and it wasn't original or groundbreaking (being seen as basically just a slightly tweaked version of Jeff Minter's original Tempest update Tempest 2000 on the Jaguar, though it came out nearly three years later) so it was largely ignored by the more "intellectual" elements of the gaming media too. 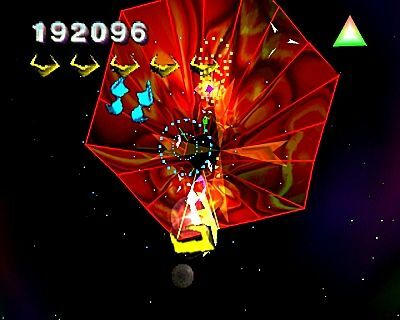 Very few games are as timeless as Tempest X3, which makes it doubly, blackly ironic that the videogames industry places so little store by (indeed, is actively hostile to) timelessness. It isn't too hard, even now, to track down a copy of Tempest X3 (and if you don't have a PS1 or a PS2, an image file taken from the CD will run very nicely on the PC via emulation, with a couple of non-fatal bonus-stage hiccups), and it'll reward such effort as it takes a hundredfold. Even if the gameplay wasn't such a model of perfection - and it is - this would be a thing of rare and extraordinary beauty, a work of art such as the world of videogames sees maybe two or three times in a generation. Get it, play it, and love it to the last beat of your heart. PS1 Atari Anniversary Edition Redux - Play the original Arcades Tempest, Warlords and Pong as well with direct precise control. No luck on the UltraRacer or NeGcon, but the Trakball works beautiful. Asteroids - Thrust and Fire controlled by L and R buttons, spin the ship with the ball. Asteroids Deluxe - Thrust and Fire controlled by L and R buttons, spin the ship with the ball. Battlezone - Move forward and back cumbersome with the Trakball. Black Widow - Movement quick response with the Trakball. Gravitar - Thrust and Fire controlled by L and R buttons, spin the ship with the ball. Pong - Perfect! This one the pinacle for precise Spinner/Trakball control required. Space Duel - Thrust and Fire controlled by L and R buttons, spin the ship with the ball. Super Breakout - Perfect! As in Pong, precise control of Trakball. Of all the games above, only Battlezone gave problems. Not an issue since the game supports a Twinstick mode. On any PS1 game case, look for the Mouse Compatible Icon on the back cover. There are not many, but some great classic games can be played with true direct movement control of a Mouse or Trakball. The Zero Tech 2 has an odd placement of the driving knob on the side of the controller. The knob can be set to emulate either sideways or up and down movement. This feature almost seem as if Hori designed bottom and side scrolling SHMUPS in mind! The two gas and brake triggers default to X and Square buttons. This is strange, the Circle button which along with the X are the two primary face buttons of a Playstation Duel Shock. The Circle button should have been in place of the Square. If you’ve ever driven an RC car using a standard Kyosho/Tamiya wheel transmitter, then the Hori Zero Tech 2 is an absolute ‘must try’ controller for PlayStation2 driving games. Although the Zero Tech 2 doesn’t provide the same immersion as a traditional wheel and pedals controller, any RC enthusiast will instantly feel at home with this controller – plus it takes up a lot less space. The Zero Tech 2 features pressure sensitive ‘proportional’ analog throttle, brake, and steering , and is available in red or black. 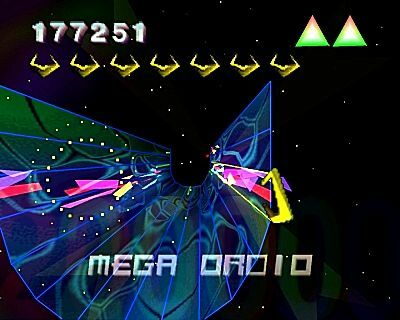 PS2 Atari Anthology Tempest -The game that demands a Spinner Controller is the Arcade classic Tempest. Going into the menu has options for swapping buttons and more importantly Analog sensitivity adjustment! Even though the driving controller only emulates an analog stick, it actually works very well as a Spinner. I set the analog sensitivity all the way up and managed to get great results. Hold the knob a little and the Tempest shooter rotates around slowly. Twist the knob all the way and the shooter just flies! PS2 Atari Anthology Warlords - This game offers three modes of analog control to get the most use out of an Analog stick. One mode is Relative Position which matches the exact position of the stick with on screen control to get an instant response. It does work, though the analog stick is a small for precise pixel by pixel control. The Zero Tech 2 works but just in the regular mode. Even so, it still has better control with the knob for more exact placement. I really wish the Relative Position would work with the Zero Tech in this game, maybe have to play with the sensitivity level some more? PS2 Atari Anthology Asteroids - The original arcade uses buttons to rotate the ship. With the spinner option a better control, again the more twist on the knob, the faster the ship spins. The Atari Anthology emulator allows complete selection of buttons and sensitivity to suit each game. PS2 Atari Anthology Space Duel - As in Asteroids a better control of this over head space shooter spinning the ships with the knob. The button option really helps in getting the right combination of Thrust, Shields and Fire. CRTGAMER wrote: Retro overhead style Space Shooters really proved to be a nice surprise with a Spinner option! Most of these Vector Arcade classics originally rotated the ship with a set of fire buttons. The Spinner option allows the space games be controlled like a forgotten Spinner Shooter; Omega Race. Taito Legends 1 and 2 Various SHMUPS - The two Taito Legends discs proved to be a real surprise! All the bottom shooters such as Space Invaders, Phoenix, work well at a set speed in side to side movement. My favorite invaders game Majestic Twelve works like a dream! The Spinner offers an easier comfortable twist control over a DPad. The Zero Tech 2 can be set emulate either the Horizontal or Vertical potentiometers of the left analog stick so side shooters such as G-Darius, Gekirindan and Exzisus work, but the sideways movement is lost since the Spinner can only support up/down or sideways at a time. In addition some bottom shooters such as RayStorm loses the up and down movement. The Zero Tech works best with shooters that only need one set of direction control when using a Spinner. 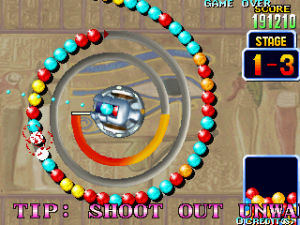 PS2 Taito Legends Puzzle Bobble 2 - Just like the N64, a perfect variable Spinner control for the bubble shooter. PS2 Taito Legends Space Gun - Only one direction at a time is supported. I noted this game due to true relative direct control. Twist the spinner and the cursor matches exact on the screen, a shame the game requires horizontal and vertical movement. More games should support the direct relative option. PS2 Taito Legends 2 Puchi Carat - A Puzzle Bobble style game with a Pong control paddle at the bottom. The Spinner works just not precise control, unfortunately no direct relative control option as in Space Gun. Still, a better control versus uses an Analog stick or DPad. PS2 Taito Legends 2 Cameltry - This game works very well with complete variable analog control to twist the maze around. I can precisely twist the walls of the maze on the fly to quickly drop the ball towards the goal. PS2 Midway Treasures Defender - Bet you did not expect this game, but it works! One of my favorite side scroller SHMUPS. The spinner moves the ship up and down while I set the buttons to control Thrust, Fire, Smartbombs and Hyperspace. Take a close look at the Hori Zero Tech 2 picture. I SET THE YELLOW SHIFT TRIGGER AS REVERSE DIRECTION IN DEFENDER. The instant change direction of the shift really feels tightly controlled with each shift of that yellow trigger. PS2 Sega Genesis Collection Tac Scan - I mentioned at the top of this Guide on this Vector game. As the only one of two game consoles that have an official release of Tac Scan, I really wanted a Spinner Controller to match the Arcade cabinet. The Zero Tech 2 works in spinning the ships, though a direct relative control is not availabe. Not perfect since I cannot get the instant twist speed of the arcade, but more then adequate. The knob feels right in matching the rotation of the ships in all angles. The other console release of Tac Scan is the 2600 version which plays with a game paddle, but only three angle directions of the twist. Newer console owners can also take advantage of the alternate spinner setup. The Zero Tech 3 racing controller is manufactured by Hori, a game accessory maker renowned for their quality products the world over. This racing controller targets only the Sony PS3 platform, featuring a trigger-grip design and a sideways mounted analog steering control. While it looks more like a fishing game accessory than anything else, the Zero Tech 3′s design is supposed to make the driving experience easier, where the player’s left hand is used to control the gas and brakes while the right hand deals with steering. A thumb shifter enables you to change gears on the fly. Braking news: Namco NeGcon and UltraRacer controllers now work to control EVERY Dual Shock-compatible Playstation racing game ever made! To make a long story short, I first tried to see if my NeGcon could be made to work on my Xbox racing games with a Game Elements adapter and found it to not work. I then pulled out my 99 cent X-Connection (which happens to be a very hard to find adapter these days) and plugged the NeGcon into it. To my amazement, I found that the NeGcon was working. I was getting fully analog steering (emulating the joystick movements) and fully analog gas/brake functions (having the I and II buttons set to be the Xbox’s L and R triggers). With the X-Connection adapter connected to the XP Joy Box adapter you can even open up the world of all Dual-Shock compatible Playstation 1, 2, and 3 racing games to the NeGcon and PS1 steering wheels in general. See OP - XKeys and YMouse allow multiple devices for PC PS/2 ports. Last edited by CRTGAMER on Thu Sep 07, 2017 10:37 am, edited 11 times in total. The NES does not support analog controllers, however there are a couple of the Nintendo games that can be played with the analog option, a Vaus Paddle controller made by Taito. The mini paddle is the same size as a NES controller, even looks like the same exact grey shell. Though a Paddle with end to end stops, it works pretty well in simulating the Spinner Knob of the Arcade. The Vaus controller, specially made and branded for Arkanoid, brought the arcade experience home. If it wasn't for this beautiful controller, Arkanoid on the NES would border on unplayable. The Vaus controller is a little thicker and a little shorter than a standard NES control pad. It has a button on the top used for service, game start, firing the lasers, and catch release. At the bottom is a small spinner that is used to move the Vaus. To the right side of the spinner is a capped off adjustment dial that can be used to calibrate the spinner so that it matches the Vaus' range of motion within the boundaries of the playfield. The Vaus controller is plugged into the Player 2 controller port of the NES console and is used for both players in a two player game. The two player option is selected at the title screen via a standard control pad plugged into the Player 1 port on the NES console. 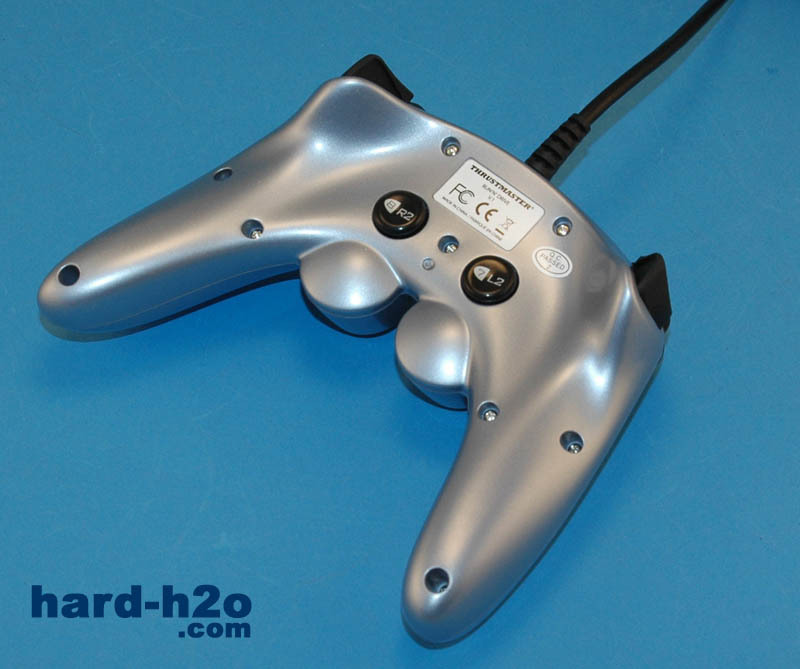 Incredibly, considering the wear that paddles are known to suffer, these controllers were never sold separately. Since they only shipped with the Arkanoid game and so many have worn out, Vaus controllers are somewhat hard to come by these days. However if you desperately require one there's usually always someone online willing to sell one at a hugely inflated price. If you already own one, please be very careful with it, they're known to break easily. Bought at the Swap Meet, my NES Vaus controller did not work. I play tested on a multi game pirate cart which has Arkanoid in it. A regular NES gamepad worked fine but the Vaus controller would not function in either port. Popping off the rubber plug revealed an adjustment setting, a small yellow potentiometer inside. This did not make any difference no matter how far adjusted at either stop. I went back to the Swap Meet and purchased an original NES Arkanoid cart bundled along with a second NES Vaus controller. The Taito paddle works perfect when plugged in player port two. However, my other Vaus paddle proved to be broken, it would only make the onscreen paddle jerk sideways a little, almost ghosting the image due to constant repositioning in trying to read the resistance input of the paddle. The button worked since it would start a game and launch the ball, just no paddle control. Famicom Vause Paddle - Different resistance potentiometer inside? Now for the strange part. The verified working NES Vause paddle also would not function with the Arkanoid game in the bootleg cart. Maybe it is a Famicom version that requires a different resistance setting in the game coding? The bootleg cart is a 60 pin Famicom game PCB which I placed inside a Gyromite shell with a 72 pin adapter inside. This confirms that any bootleg or maybe even Famicom Arkanoid carts very likely will not work with the official Taito NES Vaus paddle. I have one working Vaus paddle and the official game cart, but the spare defective spinner was teasing me to see what was wrong. Pull the black paddle knob off. If too tight to pull by hand, use a pair of small pliers. Place a rag between the jaws of the pliers and the knob, having care not to squeeze too hard. Do not pull at an angle, just straight out. Once the knob is removed, you will see a nut underneath. However do not loosen the nut just yet. Remove the four bottom screws and remove the bottom cover. Leave the screw on the PCB for now. Scrutinize the potentiometer, how it is soldered onto the PCB and mounted in the front cover with the nut seen earlier. The pot has a tab hidden underneath that keeps it from rotating in the front cover, but only when the nut is snugged down. Remove the nut from the potentiometer while keeping finger pressure to the PCB and bottom of the pot. After the nut and washer is removed, take out the one screw holding the PCB in place. CRTGAMER wrote: Try to avoid soldering if possible. A slight chance a used Vaus paddle just might be gummed up, say from a soda spill. If no damage can be seen such as a broken leg, try dripping some alcohol inside the potentiometer. Work it back and forth and let dry for a few hours before testing. Push in the shaft of the pot while clearing the controller cable and PCB underneath. Now the damage can be seen. Most likely the potentiometer mounting legs are sheared off from the PCB, but an off chance the legs just might need a resolder to the PCB. If this is the case, lightly touch each pad quickly with a tinned pencil soldering iron. If one or more legs are sheared, the potentiometer will have to be removed. Desolder any legs still attached, then remove the pot. Carefully remove the Pot PCB by bending the three metal tabs open. Just enough bend to separate the Potentiometer halves. The old legs stuck in the controller PCB would be tricky to resolder at the exact height, so use solid core copper wire as a replacement. Remove any broken legs and verify that the replacement solid wire can go through the controller green PCB. Important to do this before attempting to solder the wires onto the Pot PCB. Leave the strands long and solder all three points inside the Potentiometer PCB. CRTGAMER wrote: When soldering inside the Potentiometer PCB, ensure just a minimal amount of solder is used. The inside of the PCB "tracks" have to be flat to allow the Pot contacts to spin freely. Have care that all three solder points are isolated from each other, verify with an OHM meter. Any solder points that get accidently jumped needs to be desoldered or PCB scraped apart with a jewelers screwdriver. To the right of the Vaus PCB still has the original potentiometer legs that are sheared off, these need to be removed thru a desolder. Note the potentiometer, how the "spring" contacts are connected together at the base. The contacts ride both carbon tracks, the combined resistance determines the position of the onscreen paddle. The potentiometer small PCB has the replacement wire legs already soldered on, ready for reassembly. The yellow potentiometer on the main PCB which is accessable under a rubber plug increases or decreases the overall resistance to center the paddle. After soldering, clean off the carbon track lightly with a small jewelers screwdriver. Not too hard to scratch it up, just remove any flux coating that might be left after the soldering. Clean both the carbon track and the metal "spring" contacts lightly with a QTip and alcohol .Before reassembly, inspect the rotation of the potentiometer, how the contact springs rotate. The dead spot is the side that the solder points of the Pot PCB sits. The Pot PCB has notches that aligns with the three metal tabs. Leave the shaft spun to the middle rotation position, carefully reassemble the Pot and bend the three tabs to hold both halves together. Slowly spin the shaft to confirm smooth movement. Ensure the wires are even with the game controller PCB holes. If off, hold the wire at the pot base with small needle nose pliers to avoid breaking the solder connection inside. Gently slide the wires thru the PCB and solder all three wires. After soldering, snip off the excess wires. Carefully install the PCB assembly back into the front housing. Verify the potentiometer shaft goes into the hole and the controller wire is clear as the PCB is placed back in. The controller wire wraps around the front housing pegs to prevent it from being pulled out during use. After verifying everything went in correctly, Install the center PCB screw and tighten. Keeping a little finger pressure on the PCB and bottom of potentiometer, reinstall the washer and nut. As long as the pot is all the way down, it has a side metal tab that prevents it from rotaing. Tighten the nut and install the knob matched to the d shape of the shaft. Again, verify the knob spins smoothly. Replace the bottom cover, tighten the four screws. Plug the Taito Vaus Paddle into The right hand Player 2 port. Pop in Arkanoid and give it a go. Verify the on screen paddle moves side to side, taking delight it can be moved at precise variable speed unlike a regular DPad. If the onscreen paddle does not go all the way in ether direction, a simple fix. Remove the small rubber plug to access asecond potentiometer used for fine adjustments. Observe the onscreen paddle moving the adjustment pot in spall increments. Verify also by spinning the Vaus paddle knob all the way to each stop. Once the setting is correct, the Vause Knob will almost hit each stop while controlling the onscreen paddle of Arkanoid. I mentioned that there is another game that works with the Arkanoid Vaus "Spinner". This would be a game also released by Taito, a driving game called Chase H.Q. The Vause paddle really works well. Twist the paddle slowly and the onscreen paddle moves slowly pixel by pixel. Spin rapidly and the onscreen paddle accelerates immediately matching the "Spinner" perfectly. This is so much better then tapping a fixed speed NES Dpad to position the onscreen paddle. A dedicated Spinner or Paddle really feels precise, a real feeling of complete control. 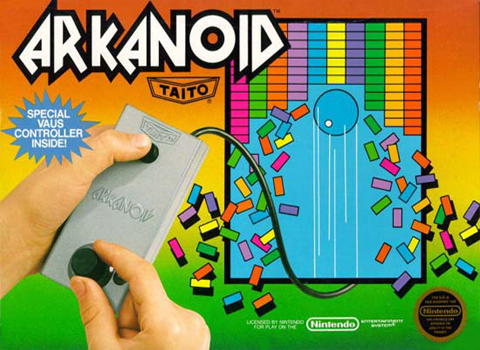 Anyone who has not played Arkanoid should really give it a try. This game is the pinnacle of Pong Breakout games due to all the powerups capsules. Weird how they look just like the pills in Dr Mario. Just like the original Atari Pong and Breakout, "english" can be applied to the ball. The more to edge the ball hits of the onscreen paddle, the more angle it ricochets back. This really adds a sense of control in instantly changing the angle of the ball volley. David Lundin wrote: (S) capsules slow the movement of the ball, very important during frantic action or to set up critical shots. (B) capsules break open the side of the screen and offer an instant warp to the next round. (C) capsules catch the ball when it comes into contact with the Vaus, it can then be moved and released by pressing the button. (L) capsules enable the Vaus to fire laser beams with the button, allowing rapid destruction of blocks but the ball must still be kept alive. (D) capsules disrupt the ball, splitting it into three. At least one of the balls must be kept alive. (E) capsules expand the Vaus, making it wider so that hitting the ball is easier. (P) capsules award the player with an extra Vaus. What really makes the powerups good is the timing in how they drop to the bottom. A quick choice of save a ball in play or risk by first grabbing that power pill. My favorite powerup is the Laser Shots to shoot away the bricks. While blasting the blocks the ball has to be kept in play, a constant jump back and forth. Last edited by CRTGAMER on Tue Aug 29, 2017 11:12 am, edited 2 times in total. might have to keep an eye out for that Zero Tech 2. I've been playing Activision Anthology a lot on PS2 lately, and games like Kaboom feel almost unplayable without a spinner. noiseredux wrote: might have to keep an eye out for that Zero Tech 2. I've been playing Activision Anthology a lot on PS2 lately, and games like Kaboom feel almost unplayable without a spinner. Thanks for the Reply, the Zero Tech is a nice controller. 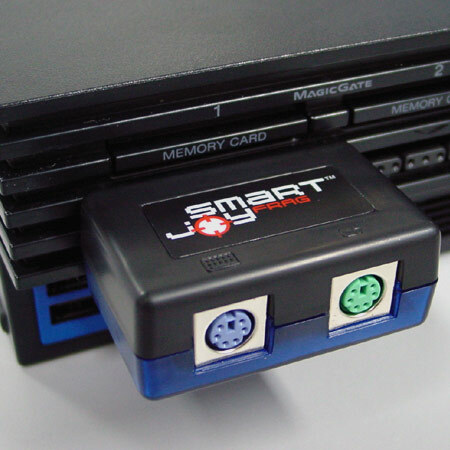 Another option is the PS2 Smartjoy Frag which can adapt PS/2 devices, mentioned and linked in the OP. Spoiler below is for the Madcatz Gamestick post above. Last edited by CRTGAMER on Tue Aug 29, 2017 11:01 am, edited 1 time in total. I discovered this unusual controller at an Electronics Recycle Thrift store for three bucks. It has both Playstation and USB connector plugs. The controller works with PS1, PS2 and PS3 (wired) consoles as well as the PC and Mac. What caught my eye is the "Spinner" ring around the Dpad. Yes, the ring is an analog driving controller! Not quite a spinner in a sense since it is spring loaded with stops. The "driving wheel" turns at 45% stops which offers for precise thumb control for driving games. Utilizing the standard Windows drivers shows separate analog for the sticks, the front bottom two triggers and the ring each having their own separate axis. Since the lower two triggers are analog, what about the normal digital function of L2 and R2 for Playstation compatibility? Aha, looking underneath reveals the L2 and R2 buttons. The mode button would light up green or red or turn off. Was it to turn off the analog sticks as a dual shock or with that extra light color cause the sticks to emulate the Dpad as the original PSX Dual Analog controller? I downloaded the PDF Manual to see what the lights do. I also downloaded the PC driver to maximize the capabilities of the controller for the PC. The modes are for setting the driving ring and analog triggers. The ring not only has its own analog axis, but can be set to emulate the left and right direction of the left analog stick. This allows for a few unique situations. 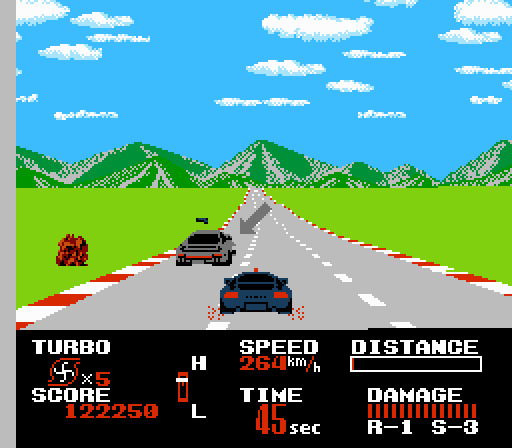 Some FPS games have vehicles that can be driven. For game consoles, no need to swap out to a driving controller when hopping into a jeep or even in a game such as Grand Theft Auto. Just use the ring to get precise driving control. Even Xbox games such as Halo can benefit with a Playstation controller adapter. Yes Asteroid style space games. Under Mame all the vector space games such as Gravitar, Lunar Lander, Omega Race YES!, Space Wars, Star Castle, and Tempest. Fly the ship thrust and shoot with triggers and use the ring to "spin frag shoot" the asteroids and enemy ships. For a different style of SHMUP play try out the ring on bottom shooters. Oh and for a killer Asteroids game the Thrustmaster RunNGun is a great controller for psychedelic Spheres Of Chaos after setting up the spin mode with Joy2Key. Some Tank sims use an analog stick for throttle and steering. I prefer twinstick to drive tanks as in the Arcade Battletone. One of my favorite tank games Wild Metal Country does not allow dual stick when running a game controller. Utilizing the RunNDrive, I can now place a tank on the hill and have an added benefit of spinning the tank with the driving ring. This augments the turret to precise aim for volley artillery shots. I do have a twinstick method to drive the Wild Metal tanks on the PC version, but that is another guide. The Thrustmaster RunNDrive also comes in a wireless version for Playstation and PC. I can recommend the Thrustmaster Run-N-Drive wireless gamepad to gamers wanting an all-encompassing controller for the PC/PS2/PS3 platforms. It doesn't beat out the SIXAXIS/DualShock3, but Sony keeps the licensing for Bluetooth wireless technology for themselves. While it works well for driving and flight simulation games, it will never really beat a full driving wheel/pedal kit or flight yoke; both of which Thrustmaster also offers for an unusually low price. The new model 4160527 Thrustmaster Run-N-Drive isn't going to beat-out specialized controllers, but it's an excellent alternative for gamers wanting maximum functionality out of a single gamepad. Last edited by CRTGAMER on Thu Sep 07, 2017 12:39 pm, edited 1 time in total.